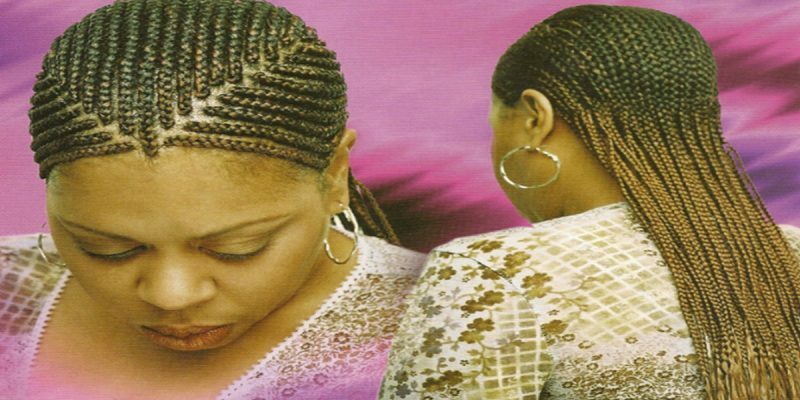 This is doubtless going to be the first post you’ve seen on the practice of professional hair braiding, and it’s entirely possible it could be the last. That doesn’t mean the debate coming tomorrow in the Senate Commerce Committee over HB 468, authored by Rep. Julie Emerson, isn’t an important one in Louisiana. In most places, the economic freedom issue carrying the most weight is unions, and their corrosive effect on the right of people to work a job. Louisiana’s workforce is just six percent unionized; that issue is nearly nonexistent here. And yet this state is considerably less free than our competitors for a different reason – namely, licensing. Some 22 percent of the state’s workforce is dependent on a piece of paper from the government permitting them to work the job they have, which is an exceptionally high number. Louisiana has a licensing board for just about everything. Interior designers are licensed. Florists are licensed. There was a signature court case in Louisiana over the funeral directors’ board trying to stop monks in St. Tammany Parish from building pine boxes to be sold as caskets without a license. And you have to have a hair braiding license in Louisiana. And by the way, that license is one hell of a nightmare to get – you have to get 500 hours of instruction from a licensed hair-braider in order to get that piece of paper for yourself, or else you’re an outlaw hair-braider. Considering that what we’re talking about is something which satisfies a market demand mostly in the black community, where there are far too many outlaws and far too few entrepreneurs, and consequently there is far too little economic prosperity, this overregulation is doubly harmful. You could make an argument for lots of the jobs which carry licenses in Louisiana to require them. Almost everybody who works at an oil refinery, for example, needs some sort of government license, and there’s a reason for that – incompetent or maleficent people in an oil refinery can do an enormous amount of damage. But a florist? An interior decorator? A hair braider? Not so much. Emerson’s bill would get Louisiana’s government, which isn’t particularly good at much of anything it does, out of the business of saying who’s allowed to do hair braiding. In the House, the bill passed by an 81-12 margin. There is a reasonably good chance it will pass by an overwhelming margin if it gets out of Senate Commerce tomorrow, and that would all but force Gov. John Bel Edwards to sign it since he doesn’t want to get a veto overruled by the Legislature. What we need, though, is more of these bills. Let’s pull back to 30,000 feet here. There are two ways to regulate something – on the front end, and on the back end. Meaning that back-end regulation is practiced through the courts, where those people who do damage with lousy work or affirmative bad actions are held accountable by judges and juries and plaintiff attorneys. Most people think “trial lawyers” are the worst people on earth, and some of them certainly are, but that characterization isn’t necessarily accurate – we need some trial lawyers and lawsuits aren’t an inherently bad thing. In fact, if we had a system where we relied mostly on back-end regulation, we’d have a great deal more economic freedom and we’d be a lot more prosperous, and we’d probably have about the same amount of risk inherent in daily life. The other way to regulate something is the front end, which is the inefficient way of doing it. Front-end regulation, at least the way the government does it, comes with licensing boards and permitting agencies and the other accoutrements of the regulatory state. And while for some reason people think we need all that red tape, those licensing boards are generally some of the most destructive entities in the economy. For one thing, you get appointed to a state licensing board, particularly in Louisiana, by cutting a check to the governor when he’s running for office – and most of the people who would think to cut that check are looking to improve the lot of their business by doing so. What that means is they’re going to operate on the basis of restraining trade and competition as much as they can get away with by their actions on the licensing boards they’ve bought their way onto, so that’s how you get the idiocy of 500 hours’ instruction before they’ll let you do hair braiding in Louisiana. And for another thing, you don’t get the will of the consumer reflected in boards made up of providers in a given industry – you get the will of the providers. This is quite often an opposite thing. It’s a way to stifle innovation and stoke inefficiency in the market, rather than instill best practices in an industry. Regulation locks what used to be best practices in concrete, but the market is fluid. Technology invades industries and changes those best practices – and the old ways are usually too expensive, slow and user-unfriendly to best serve the market. But licensing boards are about preserving business practices as they are, and that invariably creates problems. And in Louisiana, we’re both totally overregulated on the front end and a judicial hellhole on the back end. We get it both ways, and our business climate is not surprisingly horrendous. So why were all these boards and commissions and rules created in the first place? At one point there were justifiable reasons why. In the 19th and 20th centuries, when the concept of front-end regulation was codified in a modern sense, there was a perception, and probably rightful at the time, that a provider had access to far more information than a consumer about goods and services that provider was dealing in – and having the government step in to provide a regulatory function could help to remedy that imbalance in the consumer’s favor. That could cut down on the number of “snake oil salesmen” plying their predatory trade at the public’s expense, for example. But in Louisiana, our politicians saw almost immediately that creating regulatory bodies was a great way to give out political patronage and extract graft out of those interested in those plum spots on regulatory boards. The scam was already going when Huey Long came around, and Long and his lickspittles turned the regulatory state into a python which has strangled Louisiana’s economy ever since – at no great benefit to the consumer, by the way. That’s how practically everything, including hair braiding, now carries a licensing requirement here. Another problem is the mentality which justified the regulatory state is rapidly becoming obsolete. Online reputation – things like Yelp and HomeAdvisor and Angie’s List, for example – does far more to remedy that informational imbalance than any regulatory body ever could, and at a much faster and more accurate rate than regulators could. The online reputation providers do more than offer pass-fail tests to the consumer by way of granting a license; those online reputation sites usually offer a five- or ten-point scale by which providers are graded on. It’s digital rather than analog. And it costs the public nothing to have Angie’s List rather than a government licensing board. Wouldn’t you rather have Yelp, rather than some state agency your tax dollars have to pay for, telling you who to go to for hair braiding? So in that environment, when it’s not unreasonable to get the government completely out of the front-end regulation business particularly where non-hazardous occupations are concerned, it’s crucial Louisiana start getting some things right where economic freedom is concerned. Emerson’s bill is a good start down that path – it takes perhaps the lowest-hanging fruit on the tree and plucks it away. Hopefully HB 468 is the start of a deregulatory wave which sets labor and entrepreneurship free in Louisiana. We’ll never successfully compete with our neighbors unless that wave washes over us. Previous Article EXCLUSIVE: Here’s Why Malcolm Suber Was Kicked Out Of The Communist Party U.S.A.